Starwood Preferred Guest is an excellent reward program because of its incredible flexibility. It has more airline transfer partners than any other program, including American Express Membership Rewards, Chase Ultimate Rewards and Citi ThankYou. On top of that, some of those airlines partner only with SPG. In this post, we’ll look at why you should consider transferring your valuable Starpoints to two of those exclusive airline partners: American Airlines and Japan Airlines (JAL). JAL’s frequent flyer program, Mileage Bank, offers some excellent redemptions that fall below what other programs charge. Plus the program has some generous stopover options and a variety of valuable airline partners. Here’s a rundown of some great options for booking through JAL Mileage Bank. 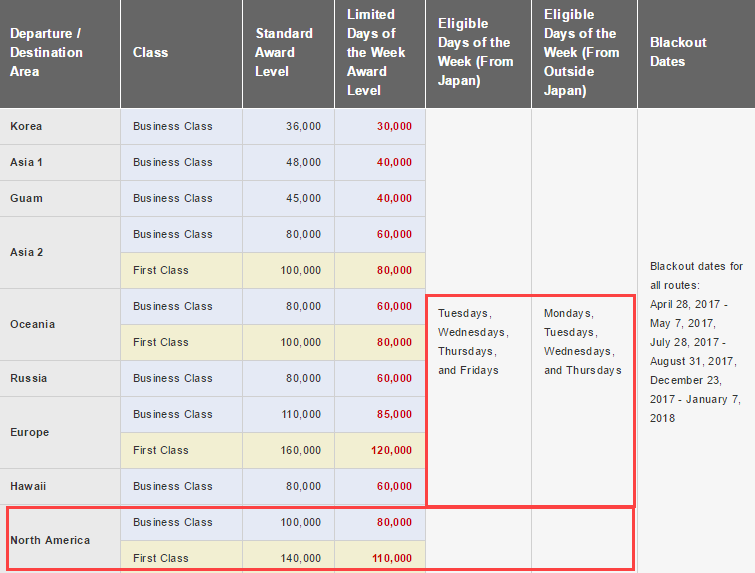 Considering that all major U.S. airlines charge from 70,000 to 80,000 miles for a one-way business class flight to Japan, JAL’s round-trip award is an amazing value. You can even fly in a Sky Suite—which is the most private business class seat you can get—for 80,000 JAL Mileage Bank miles. Or, if you want to splurge a little, you can book a first class suite for just 30,000 more miles. There’s one catch: this price is only available on certain days of the week. From outside of Japan you can fly on Monday through Thursday, and from Japan on Tuesday through Friday. If you can’t make it on the allotted days, your business or first class ticket will cost 100,000 and 140,000 miles, respectively. Through JAL Mileage Bank, you can fly one way to Dubai for 42,500 miles in business and 67,500 miles in a first-class suite on an A380 with onboard shower. That’s an incredible value and you won’t be charged a fuel surcharge. You can also fly between New York and Milan for 32,500 miles in business class and 50,000 miles in first. You can fly roundtrip on JAL’s oneworld partner Iberia from New York to anywhere in Spain and Portugal–and even as far as Bordeaux in France–with a stopover in Madrid for only 39,000 miles in economy or 63,000 miles in business. You could fly to Madrid and then to another city, such as Barcelona, Lisbon or Porto, among others. You can fly on two or more oneworld airlines and see up to seven cities along the way. In addition, there are not many restricting routing rules. You can fly East to West or West to East, and you can backtrack to one city up three times. JAL runs multiple promotions for its partner airlines. One is for flights between New York and Sao Paulo or Rio de Janeiro for just 30,000 miles in economy. This is an amazing rate that no other airline can beat. You can fly the same route for 65,000 miles in business, too. While the regular domestic one-way redemption is 12,500 miles, American now charges just 7,500 miles for flights that are 500 miles or shorter. This is what you would pay for flights between Chicago and Kansas City, Los Angeles and Las Vegas, and New York and Cleveland, among others. If you can fly off peak on American, you can get to Mexico, the Caribbean or Central America for only 12,500 miles one way. That’s a bargain compared to other major U.S. airlines. Valid dates are September 7 through November 14, and April 27 through May 20. You can visit each of these Wonders of the World on American’s oneworld partner LAN, or on a combination of LAN and American flights. One-way awards are just 20,000 miles in economy or 30,000 miles in business. LAN flies to Galapagos from Quito and Guayaquil, and to Cuzco (the gateway to Machu Picchu) from Lima. American actually lowered business class redemption levels to northern South America, so 30,000 is a good price. Try get on a flight offering the excellent LATAM Chile Premium Business product. Most of Brazil is in South America Region 2, which means a one-way flight to Brazil costs 30,000 miles in economy and 57,500 miles in business. However, during the latest devaluation American put Manaus–the gateway to the Amazon rainforest–into South America Region 1. So you can fly to Manaus for the same price as you fly to Lima or Ecuador: just 20,000 miles one way in economy or 30,000 miles in business. 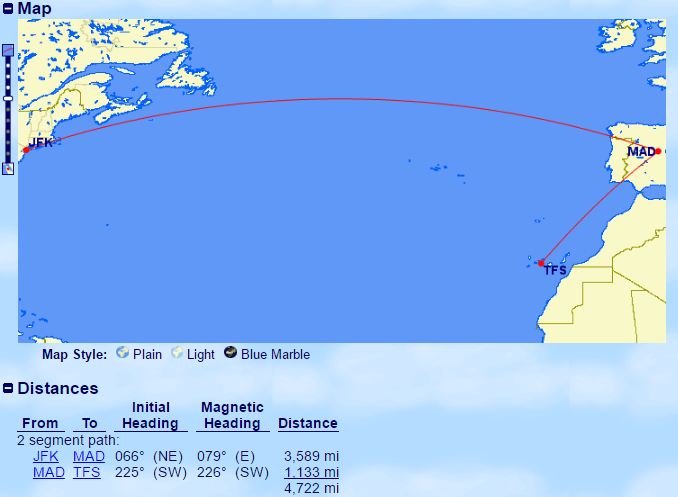 Try to fly on LATAM Brazil for the leg between Miami and Manaus. That carrier operate much better aircraft than American in all classes of service. Another sweet spot in the AAdvantage devaluation is the award level for domestic flights in Brazil. It used to be 10,000 miles one way, but now it’s only 7,500 miles. For example, you can fly from the U.S. to Manaus and build an itinerary on LATAM Brazil to visit more amazing places, like Rio, Iguassu Falls or Florianopolis. You can still fly one way to Europe for 22,500 miles on American’s off peak dates, which are January 10 through March 14, and November 1 through December 14. Despite the fact the Canaries are much closer to Morocco than Spain, American lumps the awards in with Spain. That means you can get the cheaper 22,500-mile rate to the Canaries. You can fly on Iberia, or on a combination of oneworld airlines, such as American, British Airways, airberlin and Iberia. To fly anywhere within Russia costs 10,000 miles one way in economy and 17,500 miles in business. Add 22,500 miles one way to get to Russia during off peak times, and you’ll get an incredible bargain. 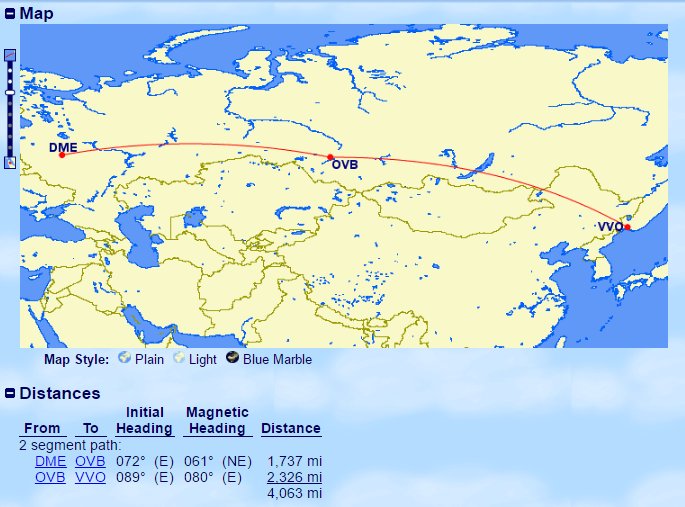 You can fly almost anywhere in Russia on American’s oneworld partner airline S7. You could fly between Moscow and Vladivostok for 10,000 miles and then catch the Trans-Siberian Express back to Moscow. Or you could splurge a little and get more comfort in S7 business class. The carrier doesn’t feature lie-flat seats, but its still a bargain for just 7,500 more miles. Starwood’s extensive network of airline partners allows you to transfer Starpoints airlines that are otherwise hard to earn miles with. As a reminder, always transfer Starpoints in 20,000-point increments to get the 5,000-point bonus, and never transfer more than 60,000 Starpoints in a 24-hour period.